PAM: Welcome. 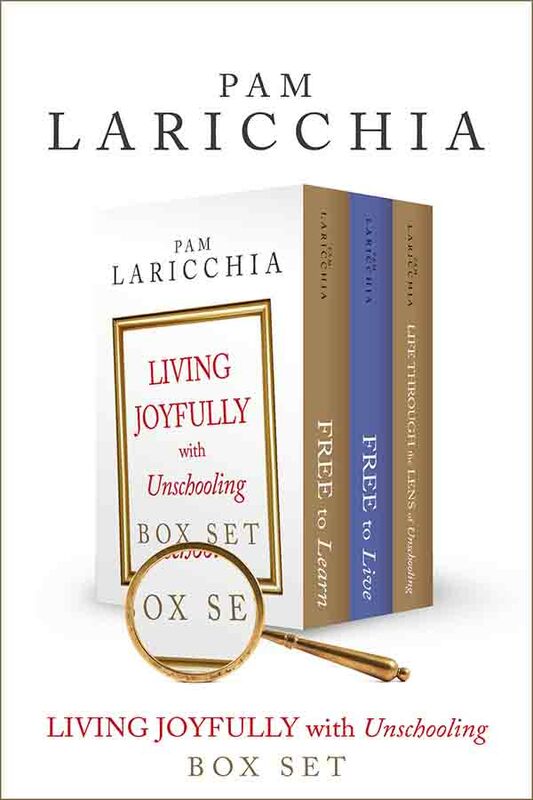 I am Pam Laricchia from livingjoyfully.ca and today I am here with Wendy Hart. Hi, Wendy! WENDY: Absolutely. I just want to say thank you so much for having me; it is such an honour and a privilege. We just love all of your resources, so thank you. I am the mom of a family of three, there is my husband and my daughter. My husband is in his thirties and he is a professional wrestler; a local wrestler, so you will not be able to see him on TV yet. My daughter is eight. And I am Wendy, and I am in my forties. We have been unschooling for, probably, I mean, it starts really as attachment parenting I think and we didn’t really get that until about three, so we have been doing this for five years now. So, that is a little bit about me. We live in Ontario, Canada, and I am a children’s book author and illustrator. PAM: Oh, that is awesome. I didn’t know about your husband’s wrestling, that is very cool. My youngest son is into more physical pastimes as well, so that is such a cool connection. You said that your daughter was about three when you found attachment parenting—how did you find that? And how did your move to unschooling unfold in there too? WENDY: That is a really interesting question because it actually starts more with the past, which is that I actually have a 25-year-old son and so I did go with him through the school system. So, with my husband, we didn’t feel that it suited us, that it worked for our son in any of the aspects, or any of the timeline that we tried it. So, when we had Hope eight years ago, we automatically were homeschooling for sure. Until about two, we didn’t really have an idea of what that looked like, and frankly it really scared me, because the idea of trying to be a teacher in school, at home, was terrifying. I didn’t really know that. I didn’t want to bring that to our home, but I didn’t really cognitively know that, I just was looking for something. So, I went looking for homeschooling online, and then I found so many amazing resources on unschooling—it was just this new way of thinking but that made total organic sense to us when I started telling my husband about it. They just live and learn. I mean, you don’t have to “do” anything. They do read books and they do arts and crafts—all the things that you would do in school—but without any of the limitations or structure that was forced. And the stress that came from all of that, because, of course, I already had put my son through school and it was so stressful. Just the separation, the beginning of when you are like, “Oh, my baby, they are going…” Just was so painful, I thought, that even something that we are supposed to be doing, you know. Our family, anyway; not everybody. So that was our first foray into there being another way and other people are doing it, and they are credible and they are successful. Not just the parents but the children that are coming out of this, and so we started our, I guess it was that we started giving ourselves permission to look at a different way. It was amazing, I could not believe it. It was such a discovery. But at that point, we actually, we did cry it out method, like, I didn’t know. We only did it for 15 minutes—I say that now. Back then it made so much sense, this cry it out method, and now it breaks my heart every time I think about it, but when she started just, she would not go to bed, she would not. We just had to listen to her. Finding unschooling and her refusal to go in her room to bed kind of coincided together, and we just said, “Let’s bring her in,” Why stop? Why have these arbitrary—which we didn’t know they were—but these arbitrary rules that are separating the bond between our beloved girl. So that was the beginning. When she was three, she came into our bed, and she started just living and learning, it was on topic. PAM: That is so cool. There are so many connections in there, so I will start with that last one. So, she was around that age and that is when you discovered unschooling—when you were researching homeschooling—and isn’t that so interesting? That is one of the things that I love, is when you start asking one question, all of a sudden, like you said, didn’t even realize these things were arbitrary. They just were the way things were, right? That is just what we are supposed to do, and once you start asking one question, they whole world of questions opens up, doesn’t it? WENDY: Oh yeah, it unravels. One leads to another; like that Minesweeper game, when you touch one and you have got a whole pocket that opens up. Yeah, that’s what it feels like. You’re like, “Whoa, whoa!” and it keeps happening. That is what I find, it keeps happening. WENDY: You know, it was fear. I was so afraid, and I thought, if I wait until she is five, well then I am going to lose all of this time. Maybe I could handle five minutes of looking at it, and an hour there. Whereas I would have to do it all last minute if I waited until she was school age. So, I thought, break it down in little small pieces to be malleable. I thought, ‘Okay, maybe I can handle this, maybe it’s not so scary.’ And right away I found the unschooling and it started to alleviate fears; I didn’t have to do it that way, maybe. It was a slow process. PAM: Oh yeah. But that first; I love that it was just kind of that first approach to fear because so often fear keeps up locked in, right? You know, we get this tunnel vision and we have no idea if there is an answer out there and you almost don’t want to ask because, at least if you don’t ask, there is the possibility, you know what I mean? WENDY: That your worst fears cannot come true, maybe, if you don’t ask, right? You don’t know. PAM: Yes, exactly. If you don’t do that. But what a great approach to think, ‘Okay, just maybe a little bit at a time instead of opening the flood gates to it, let’s just look a little bit.’ I love how you took that approach; that is wonderful. WENDY: Well, because we have mental illness diagnosis in our family; I was diagnosed with rapid cycling bipolar, which is fully under control and has been for, gosh, well before Hope was born, so I am not really concerned, I didn’t think about the date, but my husband is diagnosed with CID, so he has multiple personality disorder. We are a family in healing and conflict or fear-based decisions, we take them really seriously. We want to make sure we are not doing things because we are afraid and avoiding, but we want to make also sure that we are not overstimulating our triggers, so we step-by-step a lot, we baby a lot. PAM: That is such a wonderful point, Wendy, thank you for bringing that up to, because you know, that is something we have found in our life as well, you know, we have not got that—well, I guess we have, my husband has a diagnosis—but that step-by-step approach has been so key in our lives for not letting that fear take over. If there is a step in the direction that we are curious about, and there is nothing stopping that one step, let’s take that one step and look around and see. You know, reminding ourselves that just because we take a step in that direction does not mean we need to go to that destination we see in the distance. To be totally open to revaluating at every moment and seeing what we see, takes so much of that fear of that first step away, doesn’t it? And that is amazing that you also operate that way, that you are just conscious of the emotional intelligence of this whole process, I find that just really key. PAM: Yeah, and your point too. Because you take that one step, and then that level of self-awareness is key. 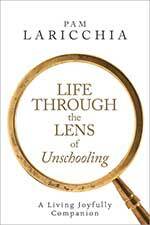 It’s key for unschooling, but I think it’s key for people, you know, so that we are self-aware of however we work. However, our brains work, however our bodies work, knowing our triggers, knowing things that create fear in us, knowing things that we are good at and the things that we can handle and the things that we enjoy so that we can step towards those. Notice those and have all of that be part of the choice for the next little step, right? WENDY: Absolutely. Yes, I love those details, I so agree. It is how I live my life and how I actually abate the fear. It does not go away, but it is processed properly, healthily. I think fear is a great clue. I am not ever—well, I am not going to say not ever, because it was a huge part of the beginning of my journey. Fear is a big piece and you shy away from it, like, ‘Oh that is scary, I am going to go in the opposite direction,’ until you start to learn more about yourself. It’s like, ‘Okay, let’s take a little step there and see,’ and once you start sitting with it for a bit, you start to realize where it’s coming from, and then you develop more self-awareness and you come to understand it more than just be scared of it, does that make sense? WENDY: Yes. Oh, it makes perfect sense. I think that process is like how we have been handling everything; not just unschooling, but everything. When fear is in control, you can’t think straight. So there needs to be coping skills—to back away from it and see it for what it is. And to process where that root came from; how can we move past it. PAM: Oh yeah, that is such a huge piece of it all. Like, it would be noticing my fear reactions, because sometimes it would take a little bit to notice that I was stuck in that fear place, because you think you’re just looking for safety. And I realize I get that tunnel vision and all of a sudden, I cannot see anywhere else to go. You are stuck in that tunnel vision of fear, but then, when I can acknowledge it and realize that if I take the time to sit with it a little bit and understand it, I know that things will open up. Because it’s not until I get through that initial tunnel fear, that I can actually start to see different steps that I might choose to take. WENDY: Oh yeah, that makes so much sense. You have to feel the fear and what it feels like to know how to deal with it. I think that if we avoid it, we are never going to know where it came from. We have got to go through that tunnel, and to be able to look back and figure out what can I do better, or what can I do differently—maybe not better because that had to happen—but what can I do differently to avoid not needing to go through that again, you know? What if we can find a different way, rather than, “Ugh, panic, okay.” I do that. PAM: Yeah, I love that point, because you know, if you don’t do that processing to realize where it came from, you are going to keep walking into it, again, over and over. Because you don’t know to step around those things. Like you were talking about your triggers and the situations that just are not healthy for us as individuals. Not that they are right, wrong, whatever, for anyone else. It is not about judging other people making those choices, it is about knowing what choices work well for us, right? WENDY: Exactly. We are not all one size fits all, so it is crazy to think that one size would fit all. 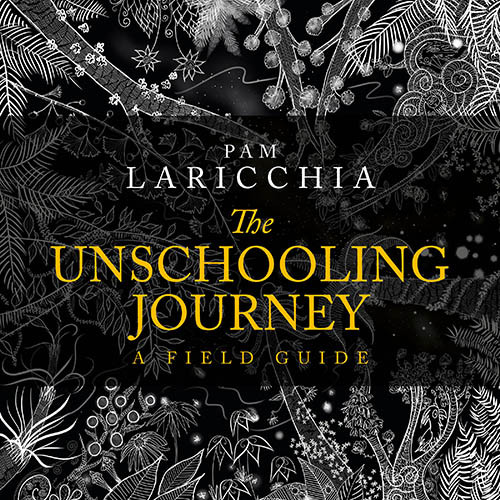 PAM: So then when you came across unschooling, that fit so well, right? PAM: It’s okay to think and make choices. WENDY: Yes, it is okay. PAM: Well, that was an amazing detour to our question! WENDY: That might happen a bit. I am a bit of a detour-taker, I cannot help it. It is that Minesweeper thing again, I poke on it and then they just all open up. PAM: That is my favourite thing about conversations! To see the connections and where they go. We were talking about your family’s move to unschooling and fear can so often for people be a big component of that move, because it is so unconventional, isn’t it? WENDY: Yeah, well I mean, you can either choose to let that fear keep you from it, or you can go through it and see maybe there is something on the other side of it. So, that is what we usually do and it has worked out really good so far. I am not really worried so far, I cannot imagine living any other way really at all. PAM: I know, because now it feels like living. You get to a point where it doesn’t matter what path your future choices take you because you are still living and experiencing each moment that way; that is the way you are going to approach any moment, whether or not you have kids in school, right? PAM: I mean, kids of school AGE, is what I meant. I do love to hear what unschooling kids are getting up to, so I was wondering what Hope is diving into right now and how you are helping her explore that? WENDY: That is an easy question, because honestly since she was three—and I mean, she is interested in other things—but she is so passionate about animals. From the time she was three, she has just everything to do with animals, whether it is playing, or doing colouring pages, watching videos. And since we saw this passion a few years ago, we started volunteering at a farm that is local. Actually, that is what we are going to be doing today. 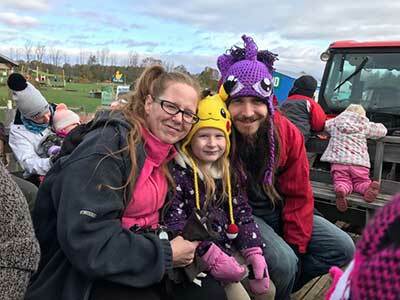 So, we volunteer at this farm where it is just hands on everywhere; it is really magical, to be honest with you. And so, she can just touch chicks and goats and babies—they are all babies. They work for movie sets, so the people who come in and visit with the animals, socializing the animals and then the animals are really great for the rest of patrons that come in or for movie shoots. It is amazing; there is a camel, we deal with horses, and bunnies are a really big one. It’s only during the summer, so we make sure we go as often as possible with her in mind. Like, it’s open four days a week but she cannot handle four days a week; that is just too much over and over again, but at least two. That is a four-hour stint that she is volunteering and helping all of these adults to hold the bunnies and feed the goats. There is just so many amazing experiences, so that is a huge one, especially right now, so it is really fresh in my mind. And then we also, we have a big piece of land, so are always exploring outside, getting frogs from the pond or snakes that will kind of come in; we do a lot of catch and release—always release. She will have pet snails that she will bring in and be responsible for so they don’t go wandering all over the house, which they will. Yeah, she has had them all over her hands and her face, she is just so hands-on with them. 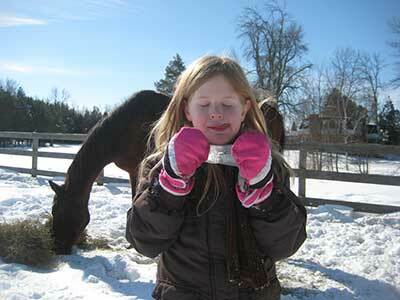 We have pets, so that is something else that we have done to facilitate her love and passion with animals. Roleplay. She loves roleplaying animals. 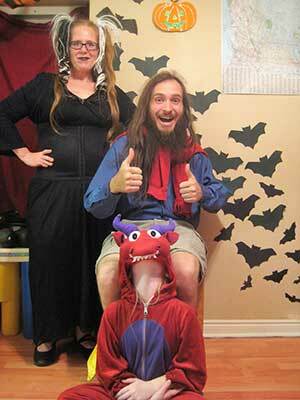 So, all kinds of pretend play, all of our movies are roleplay animals. Her toys; she has some Barbies, maybe five, but an entire room full of animal toys. If she wants to play, it is usually animals. She just really connects with them, wants to care for them, learn about them; it is amazing, you know. And it has never wavered. And if we had have done school, there would have been so much interruption into this and she has been able to just go with it and it has been amazing to watch. That and roleplay. That is the second thing that she is into—if she is not roleplaying about animals, she is roleplaying about another subject that she just loves. She loves to pretend play and roleplay and we are actually LARPers—Live Action Roleplayers—so it works well. We are always doing things like LARP games, where we are pretending to be different things all together in a group—we do that with our homeschool club and with adults. And, of course, pretend play every day; with us and on her own. So just always in the world of make believe. PAM: That sounds amazing! And how cool; how did you find that farm? Was that something that you already knew about? Or did you find it when you were looking around? WENDY: No, well everybody who lives around our area will pass by this farm; it is called Big Curve Acres and there is this big sign on it on Highway 11; I know you are in Ontario, so you will know. You might ever go up Highway 11, so it is really easy to see up in the Oro Medonte area, and so we pass by it so many times, and I kept saying to my husband, we just have to check that out. I was pretty sure they are open, but we could not find out when. So, we finally found out that they are open through July and August, so it is really hard to kind of find out when they were haphazardly, because often when we were checking, they were closed, so we just looked it up online and we started going there. And because Hope connected so well with the animals and I work with animals as well, so it was just a really good fit for us, and the owner noticed and she said, “Well, why don’t you come here often? You don’t have to pay, you just come here and volunteer.” And we were like, “That is amazing!” So, that was like three years ago now, so we are just ending our third season, so I am so grateful. I honestly have an amazing time there too. We all do. PAM: That is part of that, “take a little step,” right? Take a little step and see. That is the one thing I found with my kids too. I learned through facilitating them; helping them pursue what they are interested in. That’s how I learned to be open and pay attention to things around me. So, you’re open to the conversation. The owner could feel kind of the open vibe of you guys, and be comfortable approaching you to have that conversation, and you are open to considering that. It’s just amazing how many connections kind of fall into place when you just stay curious and open to things, right? WENDY: I love that, yes, being open, yes, I love that way of wording it. I think I am doing it, but I love putting things into terms, because it just helps to help my brain more fully accept it, but it also helps to quantify it to others, so that really helps. PAM: Yeah, that is true, to be able to describe something helps. It helps me too; my brain thinks that way too. In little systems. Because then you can do it in different places. And it started by being open to what my kids want to do at home. What they wanted to do, watching them learn, watching them follow things, the strange but interesting paths that they took, just playing at home. And then it was taking that outside and keeping that open and curious attitude when we were out and about; not just when we were at home doing our own things. PAM: The other question I wanted to ask you, was about LARPING. You mentioned that you and your husband like that. Was the something you guys were doing before or was that something that you discovered through Hope’s interest? WENDY: I have been LARPING for 20 years. I met my husband LARPING. I remember saying to myself a long time ago, thinking, I am never going to marry someone who either does not like LARP or does not want to LARP. Just because it is a pretty open way to be, if you are going to LARP, so I really wanted someone who could be that open. To be able to put themselves aside and maybe take on someone else. So, I met him LARPING. So, the background comes from before Hope. PAM: Oh, that is so interesting. WENDY: She got the roleplay bug from me, maybe, I don’t know. PAM: Being open to it. WENDY: Yes, yes for sure, being open to it. I love it. For me, it was just the best social lesson I ever had. Like, it basically took that fear—it was a way to go down that tunnel but now notice it because I was playing. LARPing was a great way to really experience new ways of being that you would never have done before, because you are given permission, because it is a role. And it does not have to affect the rest of your life, but it gives you an insight into yourself—at least it did for me—and I know it has worked for others as well, that I just don’t know any other way. I have had professional therapy and all kinds of ways to deal with that fear and anxiety, but this was just hands-down the best way because it got past my, “Oh I am being taught something,” and went right through to my play. Which is, I mean, what we are all taught. Learning through play, it is the core of, I honestly think, what makes learning joyful. If you are having fun, then you are going to absorb it like a sponge, so for me it was that I could process my emotional stuff when I was LARPing. I didn’t know it, it took me like 10 years to go through it and go, “Oh my gosh, I was playing, all that way, and I learned so much and now I can bring to the table with my parenting and the rest of my life.” It changed my life, it really did; as much as unschooling did, honestly. 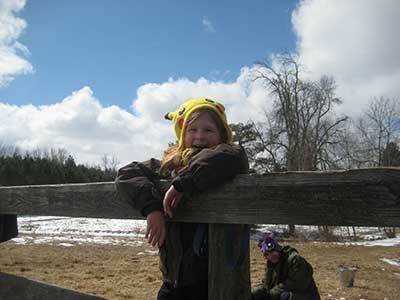 It was just like the two for me, really makes a lot of sense together: unschooling and LARPing. I am sure not everyone would agree, but it makes sense to me. PAM: It makes so much sense, it really does, and I love that insight how it helped you bypass your own blocks. Because we get in our own way so often, right? PAM: Yeah, we are taught from a young age to judge ourselves. WENDY: We build walls so high. PAM: So harshly. And to be able to find a way to get past that to the openness and the play, and to a way that we can be ourselves. Even if you are taking on different personas, it is still you. It is you being able to come out freely through a different lens, right? PAM: Oh wow, that is great. I love that. We were really concerned with how we could quantify that to authorities, without bringing that fear to our lives, but being prepared. And it was a journey, really, figuring out how to do that, because I was—and I still am—afraid, but I feel protected. I feel prepared. I feel like I have done the work. I will not say protected, prepared is a better word. Because the fear is real. It was not like I could just say, that was what I was thinking about at the moment that happened. It was real fear; we did have a lot of trauma caused to our family because of that. I cannot talk a lot about it just because it involves my first-born son and there are privacy issues; I just want to explain why I am being kind of vague. Because I’m very open and I love to be open. But yeah, so we were carrying that. And as soon as we found unschooling I thought, “Ah… Oh. But what if.” I mean, what are they going to say about this? I mean, I know how they work, so they are not going to be able to understand it. And I think that is where we were on the road to figuring out how can we do this because I cannot not do it. We can’t not unschool; it makes sense. How do we get over this big, real fear? So that was the big one whopper wall we had to climb over, right? WENDY: Yeah, so we just started putting things in place. We started researching; finding places like your website and so many other resources … especially with grown unschoolers. It really helped to see that I can prove to these people that there are adults who have gone through this and are wildly successful in ways that nobody is really quantifying except for maybe the unschooling community and seeing how amazing these people are—not just in their careers, but in their lives. They have coping skills that a lot of people don’t have—and they have gone through these school systems that apparently are supposed to teach you everything. For you, it felt more likely, so you took that time to do that research and you got to a much higher level of comfort, I think, with moving forward, because you felt that you could answer to those kinds of questions at any moment, if something ever came up. Whereas I think a lot of people fear it, push it down. And it’s true, I mean, you don’t want to be stuck in a place where you think it’s likely, and you see it coming all over, but to be able to get to a place. I did it too: ‘What if something happened to myself?’ ‘What if something happened to myself and my husband?’ I went through that. And came up with back up plans. It didn’t mean creating a file folder full of cases to be able to hand over, but it was knowing the stuff was there for me to grab when needed. Like you were talking about. Knowing there were grown unschoolers out there that you could get information from. That were websites. That there were some reports. I know in Canada we talk about that Frasier Institute report quite a bit. There are alternative education courses even in the education programs at university—in the graduate programs, anyway. You know, so to know the stuff that is out there that we could then go deeply into if we need to, was a step close enough that I could release that fear without bringing it too far into my life and living it for too long, you know what I mean? WENDY: Living with it, yes. You don’t want to live with it, that was my thing. And I did, I lived with fear because it happened to me before. Hope was born, I lived in fear, and I think it was discovering how I had to find a way to unschool and feel comfortable and not live in fear. I really think it helped me process a lot of that back logged fear that I didn’t even know I was carrying. Because I still lived in fear, even when we were not worrying about schooling, about the agencies that I had experienced. So, this just like, really helped me work out how would I unschool without fear with Hope and our family. But how could I also get rid of all of that backlogged fear that had nothing to do with unschooling. 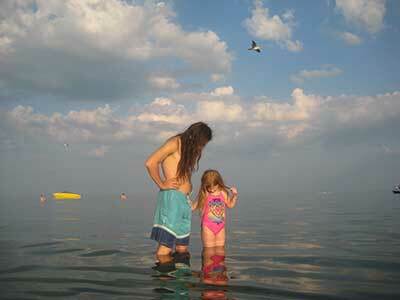 So, it was like mostly, unschooling healed us because we had to go in and forward through to it. 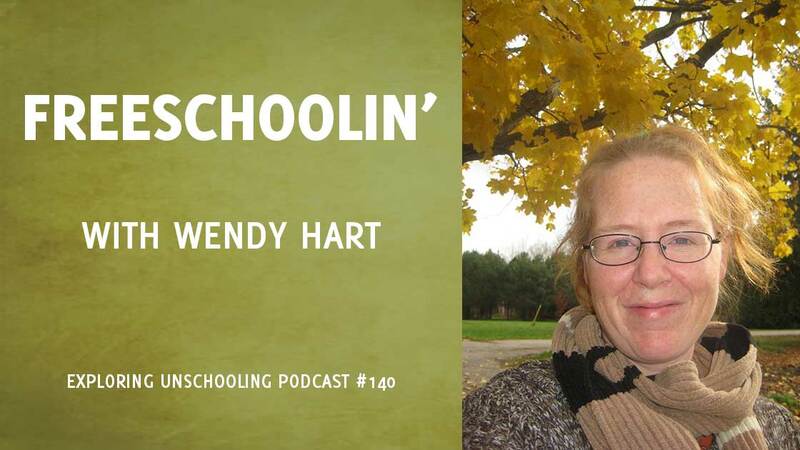 I want to say unschooling was healing for us; it really was, it was really healing. 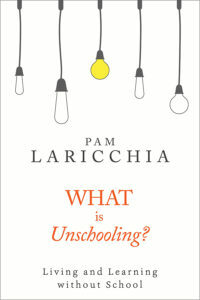 PAM: Yeah, and I think that can be something completely unexpected—if you really take seriously the deschooling process. You don’t realize how much weight you are actually carrying until you start asking yourself those questions, opening yourself up to those questions, wherever those questions go. Because so often they seem totally unrelated to unschooling or education per se, but the weight that you are carrying around; everything is connected, right? WENDY: Yes, it really is. PAM: Yup, everything is connected. Okay, so let us flip this around to a brighter note. WENDY: That is again, easy, just because it was one led to another. The fear brought me eventually through that tunnel and once we got through that tunnel that you were talking about, it was the realization that living is learning. You don’t have to do anything to learn, you just need to wake up and do what your health lets you. In the past, I was still living, learning—I was still doing it—but it was not in a healthy way. We definitely aim for a healthy life; we are not trying to just do whatever. But you don’t “have to” go anywhere; there are not requirements. There are not requirements for education; it is just living, learning. And once that came in, it opened everything, there was no limitations. All of the things that school had taught us were gone, because they were wrong. You can learn in school, but you don’t have to learn in school at all. And in fact, we learned so many things outside of school; I have taught myself how to play piano, I have taught myself how to song-write, I have taught myself all kinds of things; how to blog, and vlog, and all kinds of things I never thought that I would do, let alone, maybe be good at, just by living. By following our interests, what things that make us happy, you are always learning, that is just so simple. PAM: I love that! That simple. The biggest a-ha moments are how simple things boil down to. When you just get to that foundation. And I love your point that, of course we can learn in school, but we don’t have to learn in school and that we are always learning when we are living. What I’m trying to say is, with unschooling, we are taking away that layer. Like, so often in school, what they are learning is not specifically, or only, about the topic, right? They are learning so much about control structures and power structures and extrinsic motivation. Those are the underlying things that they are picking up from the environment, right? WENDY: Yeah, that is a really good point. WENDY: There is not agenda. PAM: But you know what I mean. They are picking up so much; the learning that they are doing is stuff that parents and teachers and the system in general are not so happy about them figuring out. So, that is when you start getting into these power struggles with them—when that is not in alignment. So, that is the point I was trying to make; with unschooling we are trying to keep all of that learning in alignment with the living. WENDY: There is a social programming in school, that everyone knows that that is the truth. Like, for me personally at school, I always say not only that I didn’t maybe learn as well as I could, but it was more just that I could not separate the social aspect of it and the education, or their academic aspect of it; it was too much to combine. Because the social aspect was highly volatile; it really is kind of a cutthroat environment, going into school. You are not with your family, you have to make all of these new friends. There is no choice; especially in the beginning. So, it is really—especially for maybe people who are emotionally anxious kids—it is really stressful, and then you put academics on top of that. It is just really not a good combination for a lot of people. Definitely not for me. 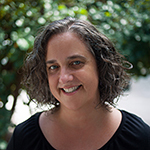 PAM: Yeah, that is a great point, and then even if you just look at the academics too, what are they learning through the environment; that what you are interested in and what you want to learn about is not as important as, you know, what we think you should learn about. You learn on this timetable. There is just so many messages they learn through that, right? WENDY: Yeah, I agree with you completely. PAM: You mentioned learning how to blog and that you are a children’s author. 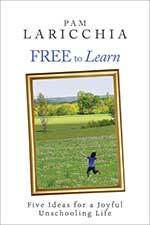 Your children’s book and your blog—your website—is called Freeschoolin’, which I love, so I would love to hear a bit about the story behind that name. How did that come about? WENDY: I am actually kind of glad that there is actually a story to tell. It’s not really much, but when we named it, we decided, because during this journey of trying to figure out how are we going to go through this wonderful unschooling way of life but still feel not afraid, I thought the best way would be to draw a community to us and to seek out community. I am kind of an introvert-extrovert in that I love being out, but I still have a lot of anxiety, so online is really great. And I thought, what a better way to do it than to start a page? I am a visual learner, so I thought I could just take our pictures. 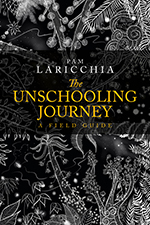 We knew we wanted to do it about unschooling, but we didn’t really have an idea, and my husband Jaze is like, “You know, what about Freeschooling?” and I was like, “Oh, I really love that, that’s great.” Because it is free, freedom and it is schooling, so for people who are trying to look for us, it gives that feeling of education although we know that living is learning. So, I just wanted a name that suited it. I just shortened it to Freeschoolin’ with a little apostrophe, and that’s how we started our page a few years ago. And then I started blogging because that just seemed like the next progressive step and it was really great to be able to connect with people and just talk. I was really shy at first, so it really helped me with a lot of my social anxiety too, and we go so much community connected to for Hope. So, it was just a great, great decision, but it was scary at first. But yeah, so that is Freeschoolin’ the page, we did that, and then the blog, we have our website. That is really fun. And I learned web design because I designed my whole website, you know, and I did the art for it, so that was just a really fun experience. Always living learning, right? PAM: Yeah, exactly, it is such a fun creative outlet, isn’t it? To figure that stuff out. And it just kind of all came, so it was like, experiencing my creativity and then it kind of all came organically, and it did end up being the cover of the book, which is why it is a little bit more basic as far as the illustrations go, but I love it because it is original, so I wanted to keep it. And it is just a beautiful labor of love; my husband formatted it and published it, so you know, we are self-publishing; we have our little publishing company, Hart2Hart publications. It has been an amazing journey and I would all attribute it to unschooling because we were doing to all for that and then it all kind of became about it. It is an amazing experience. PAM: Yeah…oh I love that story. That is very cool. I love how it developed. And that’s a good point to about having the school reference in there, because so often, at least right now, that is how people originally find us. Because when you are stuck in that school paradigm and you are looking for something different, you are kind searching out from there. That’s why I don’t mind the term unschooling either, because you want to connect with them where they are and show them other possibilities. WENDY: Yeah, I love that! WENDY: I just love that that is exactly what I was thinking; it’s like you took the words right out of my head; yes, that is exactly what I was thinking when we did it and all along through. I just wanted to kind of relate to them, so that they would understand. Yeah, that makes sense. PAM: Yeah, because then it does not set up, you know, as and “Us vs. Them” kind of thing, right. You are just happy to connect. WENDY: We are all in this together. WENDY: Oh yeah, we are doing this to learn from others for sure. Like the best thing about the whole thing is connecting with others and learning more deeply how they were living so that it helped us figure out how to better live our lives, so examples are amazing. How we learn, really. The best things are. PAM: So true, like right to learning connections, right. I mean, everybody learns that way through making connections; everybody just makes their own unique combination of connections. In different directions, in different environments. Some like more social engagement, less, introvert, extrovert. That is why it is so unique for every single family. When they come so often looking for, “Well, okay, if I don’t do school, what do I do here?” And they are looking for that set of rules to follow to do this, and why that does not work our very well at all, is because everybody is so individual. If I actually gave a step by step outline of the actions we took, three steps into it, it is not going to work for the next family down the line. That’s why that’s not something that I share, but it is why I still love all of these conversations with everybody with the podcast because it is so different and I am still learning. Some of the steps that we have already talked about today have been amazing insights and little connections for me and it is just so fun to learn, isn’t’ it? WENDY: That, yes, exactly. Living, learning, is fun. And I think that was something I had to learn. To learn that learning was fun, because I didn’t think it was. I had a serious math issue. I didn’t do math, but it was through Yahtzee and budgeting and I eventually deschooled myself long before I was unschooling—well, it was unschooling, I just didn’t know it at the time because I was not parenting unschooling at the time, I was just doing it to myself, but I taught myself how to add, I taught myself how to do all of that. I didn’t learn it in school; they bypassed me. They tried, but I just could not absorb it in that way. It is interesting that you say that there are not rules because that is right: there is no step-by-step and that is why there is not one to find. No one is doing that because it’s different for every family. And that is why our next book, the one that I am writing is ‘The One Rule of Freeschoolin’ is There are No Rules to Freeschoolin’’ to tap on that. I just thought it was funny that you said there are no rules, and I am like, that’s the name of my book. PAM: Right? 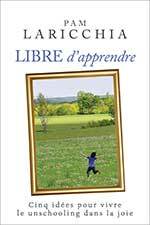 And then, when I think about it, the last book that I wrote, The Unschooling Journey, those are universal human stages to a journey. They aren’t specific rules, or, “Take this step, and take this step,” but this deschooling phase is, in general, going to hit these sign posts along the way. PAM: I love that too. WENDY: That is awesome, yes, the sign posts. PAM: And just to let everybody know, I will have links in the show notes to all of Wendy’s stuff as well. So last question, which I love to ask. 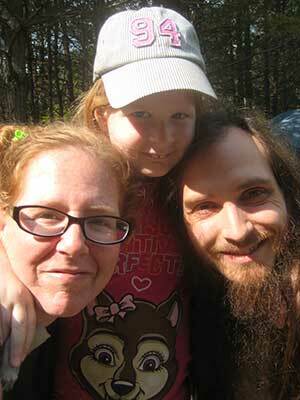 What is your favorite this about your unschooling lifestyle right now? 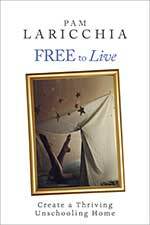 WENDY: I don’t know if it will always be—but I am assuming this will—because it is freedom. It is the freedom. There is no limitations, there is nothing holding us back. It is just for everyone. For the whole family. When we go and do something, we are learning, like at Big Curve Acres, as I mentioned, we are doing it because we all like it. We don’t do a lot of things where just maybe only one person likes it. If that’s the case, then we’ll go ahead and facilitate it for them, but for the most part we are doing things together because there is no age involved in this. You are always learning and it sets you up straight into the end of your days. That part is just amazing, that there are no limitations, it is total freedom. Well, there are only gaps if you have an expectation that a thing has to be learned by a certain time. And if you are not living within that time line, if you are living within meeting your own learning needs and interests, you are going to meet it when you meet it. When it comes up in your life, when it is interesting to you, when you have a need for something. ‘I want to get three steps down here, and my first step is that I need to learn this to keep going down that path.’ Then, if you want that, you are going to apply yourself to learning that at that point. The whole worry of gaps disappears when you realize you can learn things at any age, at any time right. The freedom to learn at any time. WENDY: Absolutely, yeah it is an amazing way to live. It’s true. It’s Freeschoolin’, right? Thank you SO much for taking the time to speak with me today, Wendy. I really appreciate it, I had so much fun! WENDY: Thank you, this has been an amazing experience. I love discussing this with you and I absolutely adore you, so thank you so much for the opportunity. PAM: Oh, thank you so much. I loved our conversation; I had so much fun. WENDY: It will be our website. If you just Google “Freeschoolin'” it will come up to, I think our blog comes up first, so…”Freeschoolin'” just so you know, it is not “Freeschooling,” it is “Freeschoolin'”. PAM: Yeah, no problem, and like I said, there will be links to your website in the show notes, and I know I used the contact page there to get hold of you, so it works wonderfully. Thanks, so much Wendy, have a wonderful day!